The heart of today’s vehicles is no longer the engine, but the complex network of computers controlling nearly every aspect of the vehicle – the engine, HVAC and safety system, infotainment and much more. The rolling computer analogy is just as apt for defense vehicles. Just as Michigan enabled personal transportation over a century ago, we are at the forefront of building a secure transportation future. Michigan is the where the connected car and the autonomous vehicle were born and are nurtured. With assets such as the Michigan Department of Transportation’s connected corridor, MCity and Willow Run – test environments for driverless personal and military vehicles – Michigan is at the forefront of tomorrow’s transportation. 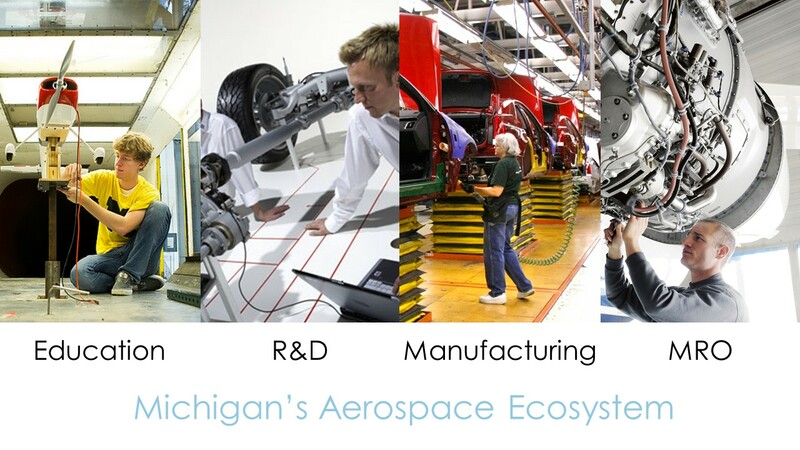 Michigan is the nexus of commercial vehicles, defense, aerospace, robotics and cyber. President Roosevelt’s call did not stop on the ground though. When there was a critical need for the defense industry to take to the sky, Michigan took action. Iconic and rooted in the mitten was the real-life “Rosie the Riveter” who, along with the brave women of the Ford Willow Run assembly plant, churned out a B-24 bomber every hour. Because of its manufacturing expertise, Michigan was poised to meet the need for military aircraft in WWII. That heritage continues today in meeting the needs of the 21st century global aerospace industry. With over 690 businesses in Michigan contributing to the industry, Michigan is the no. 2 state for Aerospace Manufacturing Attractiveness* based upon tax climate, operating costs, education, and industry representation. It’s not just a corporate presence either; the University of Michigan houses the oldest Aerospace Engineering Programs in the country, as well as the no. 3 aerospace engineering program in the nation and 11 additional universities have aerospace departments or programs. Michigan State has the no. 1 logistics and supply chain management school in the nation as well. A global industry means constant evolution and the continual need for innovation. 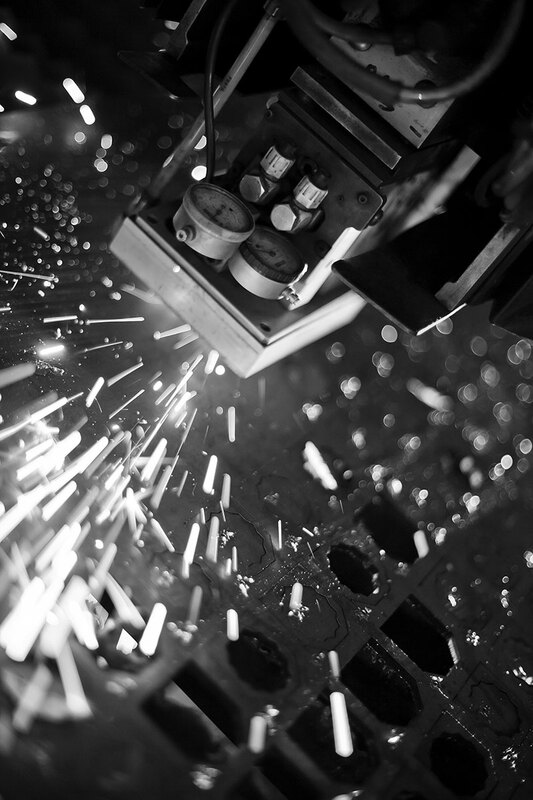 No city embodies evolution and innovation quite like Detroit, home to LIFT and IACMI: 2 of the 8 National Network for Manufacturing Innovation Institutes. LIFT (Lightweight Innovations for Tomorrow) is a public-private partnership funded by the Office of Naval Research to develop and deploy advanced lightweight materials manufacturing technologies, and implement education and training programs to prepare the workforce. Detroit is additionally home to IACMI (Institute for Advanced Composites Manufacturing Innovation), a collaboration of industry, research institutions and state partners committed to accelerating development and adoption of cutting-edge manufacturing technologies for low-cost, energy-efficient manufacturing of advanced polymer composites. Battle tested, born out of manufacturing expertise, and poised for the future—the Aerospace industry in Michigan continues to be a place where the global aviation industry looks to before looking up. With advanced manufacturing, technology and R&D, Michigan is paving the way for future generations through vehicle to vehicle and vehicle to roadway connectivity. Connected vehicle technologies enable all types of vehicles, roadways, infrastructure, and mobile devices to communicate and share vital transportation information. This communication between cars and the environment they drive in will accelerate the development of autonomous vehicle technology. The primary communications technology used to support connected vehicle applications is dedicated short-range communications (DSRC), which is similar to Wi-Fi. DSRC provides fast, secure, and reliable communications, and is not vulnerable to interference which is necessary for connected vehicle applications. To learn more about Autonomous vehicles click here.